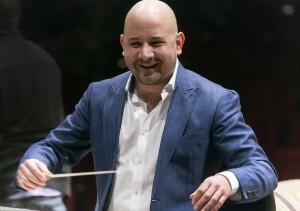 A fascinating personality in the music scene, Mexican-Dutch conductor Roberto Beltrán Zavala is rapidly earning international reputation as a world class artist with impressive, electrifying performances of late romantic and 20th century repertoire. Recent engagements included debuts with Mexico City’s Philharmonic Orchestra, Mexico’s National Symphony Orchestra, Silesian Philharmonic, Holland Symfonia, National Radio Orchestra of Romania and Rotterdam Philharmonic Strings, as well as performances across Europe with the re:orchestra of Rotterdam. Recognized as an outstanding communicator and a highly skilled musician, Beltrán Zavala builds strong and intense relationships with the orchestras he works with and is highly respected for his enthusiasm and devoted commitment to the score. Upcoming appearances include a series of modern music concerts in The Netherlands with AKOM Ensemble, a debut with the Malta Philharmonic Orchestra and a European tour with the re:orchestra of Rotterdam.